Draft: 2006, Boston Red Sox, 2nd rd. November 6, 2017 RHP Justin Masterson elected free agency. August 13, 2017 Oklahoma City Dodgers activated RHP Justin Masterson from the 7-day disabled list. 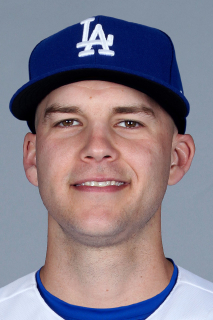 August 6, 2017 Oklahoma City Dodgers placed RHP Justin Masterson on the 7-day disabled list. April 5, 2017 RHP Justin Masterson assigned to Oklahoma City Dodgers. April 4, 2017 Los Angeles Dodgers signed free agent RHP Justin Masterson to a minor league contract. November 7, 2016 RHP Justin Masterson elected free agency. May 29, 2016 RHP Justin Masterson assigned to Bradenton Marauders. April 15, 2016 Pittsburgh Pirates signed free agent RHP Justin Masterson to a minor league contract. August 19, 2015 Boston Red Sox released RHP Justin Masterson. August 10, 2015 Boston Red Sox designated RHP Justin Masterson for assignment. June 23, 2015 Boston Red Sox activated RHP Justin Masterson from the 15-day disabled list. June 10, 2015 Boston Red Sox sent RHP Justin Masterson on a rehab assignment to Pawtucket Red Sox. June 5, 2015 Boston Red Sox sent RHP Justin Masterson on a rehab assignment to Portland Sea Dogs. May 31, 2015 Boston Red Sox sent RHP Justin Masterson on a rehab assignment to Pawtucket Red Sox. May 14, 2015 Boston Red Sox placed RHP Justin Masterson on the 15-day disabled list retroactive to May 13, 2015. Right shoulder tendinitis. December 11, 2014 Boston Red Sox signed free agent RHP Justin Masterson. October 30, 2014 RHP Justin Masterson elected free agency. October 17, 2014 St. Louis Cardinals activated RHP Justin Masterson. October 2, 2014 St. Louis Cardinals reassigned RHP Justin Masterson to the minor leagues. July 30, 2014 Cleveland Indians traded RHP Justin Masterson to St. Louis Cardinals for OF James Ramsey. July 20, 2014 Cleveland Indians sent RHP Justin Masterson on a rehab assignment to Columbus Clippers. July 8, 2014 Cleveland Indians placed RHP Justin Masterson on the 15-day disabled list. Right knee inflammation. July 31, 2009 Cleveland Indians Traded C Victor Martinez to Boston Red Sox; Boston Red Sox Traded RHP Justin Masterson to Cleveland Indians; Salem Red Sox Traded RHP Bryan Price to Indians Organization and Greenville Drive Traded LHP Nick Hagadone to Indians Organization.